Glass Rosewood Accented Jackson Point Arrowhead Trophy Award. Jade glass and a stunning high gloss piano finish rosewood base combine to create an award that is elegant in it's simplicity. 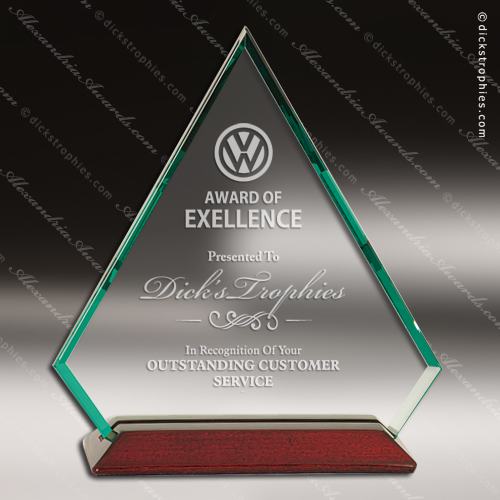 Available in 3 sizes, each with a large personalization area, this award is a beautiful way to recognize exceptional performance or milestones achieved. Glass Rosewood Accented Jackson Royal Diamond Jade Triangle Trophy Award. Diamond Triangle jade glass is available in 3 sizes. Beveled on one side to create a frame that highlights the personalization area, and sitting on a stunning high gloss piano finish base in rosewood, this is an exquisite award to recognize the accomplishments of your top achievers. Glass Rosewood Accented Jackson Royal Diamond Triangle Trophy Award. Diamond Triangle clear glass is available in 3 sizes. Beveled on one side to create a frame that highlights the personalization area, and sitting on a stunning high gloss piano finish base in rosewood, this is an exquisite award to recognize the accomplishments of your top achievers. Glass Rosewood Accented Jackson Square Rectangle Trophy Award. Jade glass and a stunning high gloss piano finish rosewood base combine to create an award that is elegant in it's simplicity. 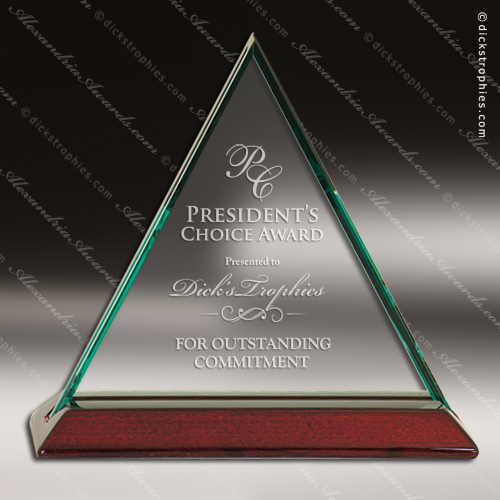 Available in 3 sizes, each with a large personalization area, this award is a beautiful way to recognize exceptional performance or milestones achieved. Glass Rosewood Accented Jackson Triangle Trophy Award. Jade glass and a stunning high gloss piano finish rosewood base combine to create an award that is elegant in it's simplicity. 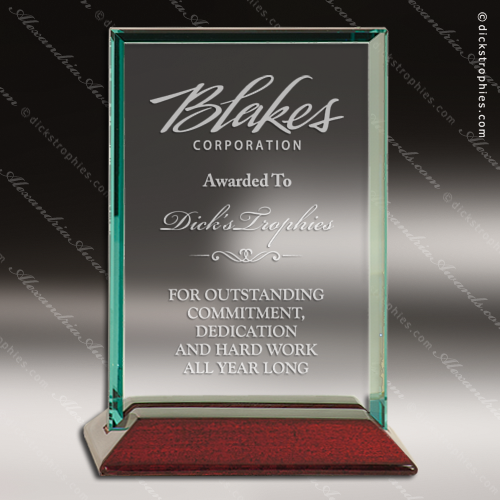 Available in 3 sizes, each with a large personalization area, this award is a beautiful way to recognize exceptional performance or milestones achieved.